Toshiba today launched the dynaPad. 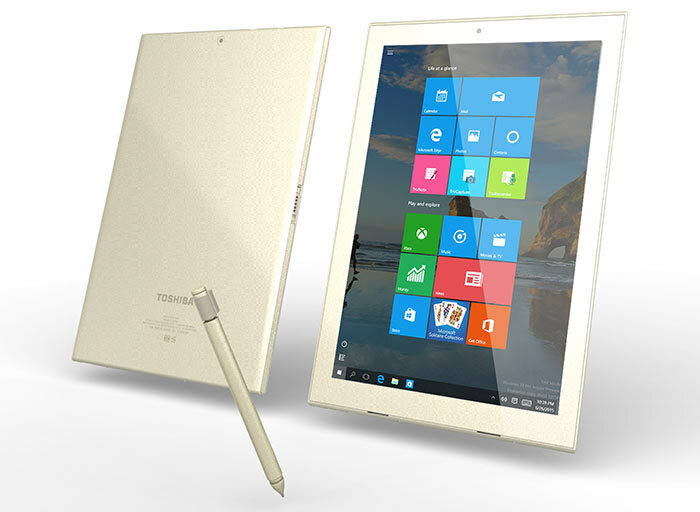 This is a 2-in-1 Windows 10 computer that is the "world's thinnest and lightest 30 cm (12”) Windows 10 tablet, measuring just 6.9mm thin and weighing only 569g," according to Toshiba. Part of the Toshiba dynaPad design remit was to "replicate the naturally comfortable feeling of handwriting with a pen and paper". Thus it comes in B5 notebook size and a Wacom Active Electro-Static (AES) stylus is included. The stylus is said to provide excellent accuracy and pressure sensitivity for natural writing, inking and sketching duties. Display palm resting rejection allows for natural hand positioning. Enhancing further this note-taking aspect of the dynaPad, Toshiba supplies a suite of original applications to help you collect, organise and share notes, images and files. 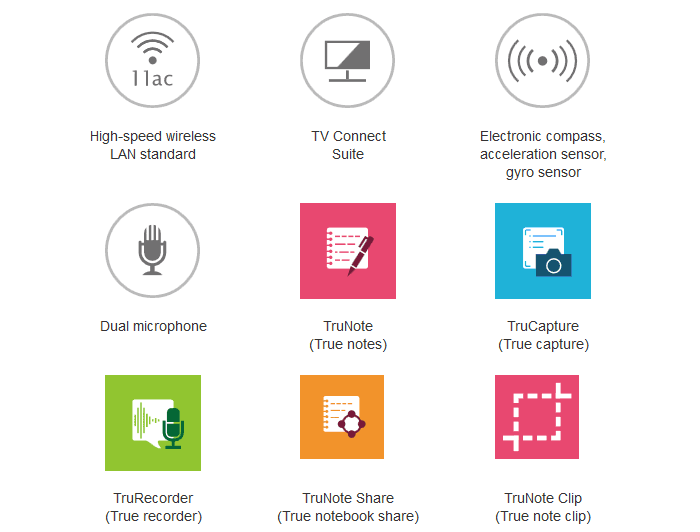 TruNote, TruCapture, TruRecorder, TruNote Clip and TruNote Share integrate with the likes of PowerPoint and let you share your creative input via email, for example. The apps are said to adapt to left and right handers. The OS powering the dynaPad is Microsoft Windows 10 with Continuum mode switching. Tablet portion measures 6.9mm thick and 569g. As a 2-in-1 it is 14.9mm thick and weighs 996g. The Toshiba dynaPad is available now for pre-order in Japan, expected to ship in December priced just over $1000. It will come to the US and Europe early in 2016. Microsoft's Terry Myerson enthuses about the product here. Do you remember the Toshiba dynaPad from 1994? 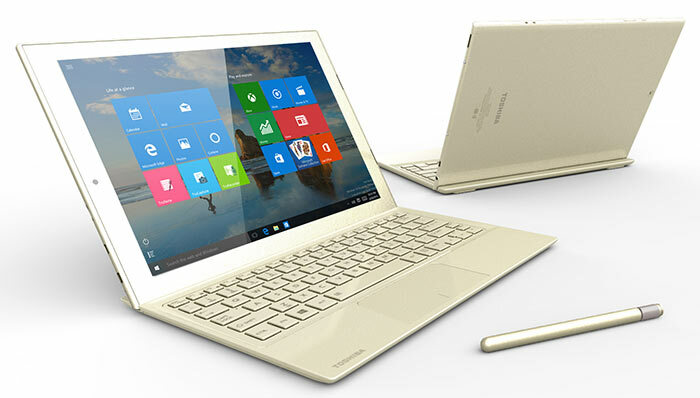 The new dynaPad, detailed above, isn't the first such 2-in-1 tablet from Toshiba. 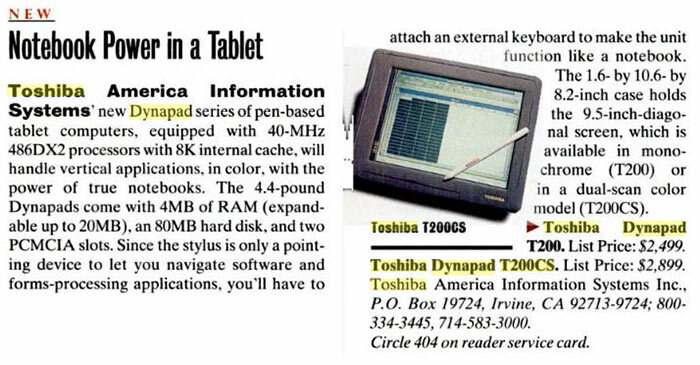 I was very interested to read, in an issue of PC Mag from 1994, available via Google Books, that the Toshiba DynaPad T200 was launched in June 1994 in the USA. This pen-based tablet, with 9.5-inch mono or dual-scan colour screen options, was powered by an Intel 486DX2 processor speeding along at 40MHz. Other key specs included 4MB of RAM and an 80MB hard disk. 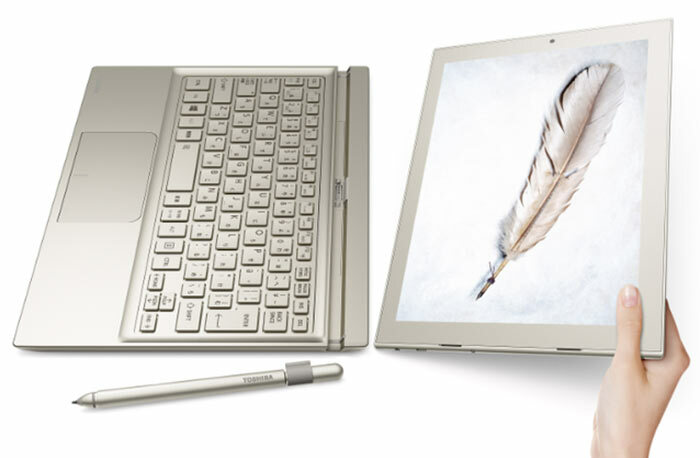 Yes, it was still a 2-in-1, as you could connect the tablet portion to an external keyboard to "make the unit function like a notebook". lol… I do love the clutching at straws approach to ‘worlds slimmest 2 in 1’… oh wait it's only for 12 inch models when the keyboard isn't attached…. I'd argue that as a 2 in 1 the surface pro is actually slimmer when you consider keyboard…. it's no different to this really when you think about it. But I do wonder how much the battery will be hit with it being so slim, even with the ‘underpowered’ x5 atom though. PLus when will companies learn that we don't want fixed angle keyboard mounts. Personally I'm rather tired of the whole “thin” obsession, when something is A4 sized shedding a millimetre or two doesn't really change how it can be used; weight, overall size and functionality are all a lot more important, I'd rather have a more powerful CPU and/or better thermal management than shave a few mm. A sheet of 80gsm copy paper is a very thin thing on which I can write, by the current “thin=win” logic that makes it some sort of futuristic marvel. Why do they even bother developing their own apps these days? Does anyone even use them? TruNote? Why would I use that when the superior OneNote is included by default. And then anyone who knows better knows that there is stuff also better than OneNote. Why can't they just lower the price a bit instead? Just over $1k, Intel Atom, haha! Intel core i5 based architecture like Core M or >.